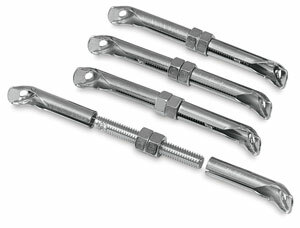 Use these corner keys as an optional feature with the Best Pro-Bar System, or with any other wooden stretcher bar, to quickly and easily adjust canvas tension. Tighten or loosen your canvas with the turn of a nut. The keys are easily installed into the pre-drilled holes on the Pro-Bar stretcher bars using the eight included screws.